Town and Village of Andover, N.Y.
ANDOVER (1824): Andover is situated in the foothills of the Allegheny Mountains amid the green hills of southeastern Allegany County. 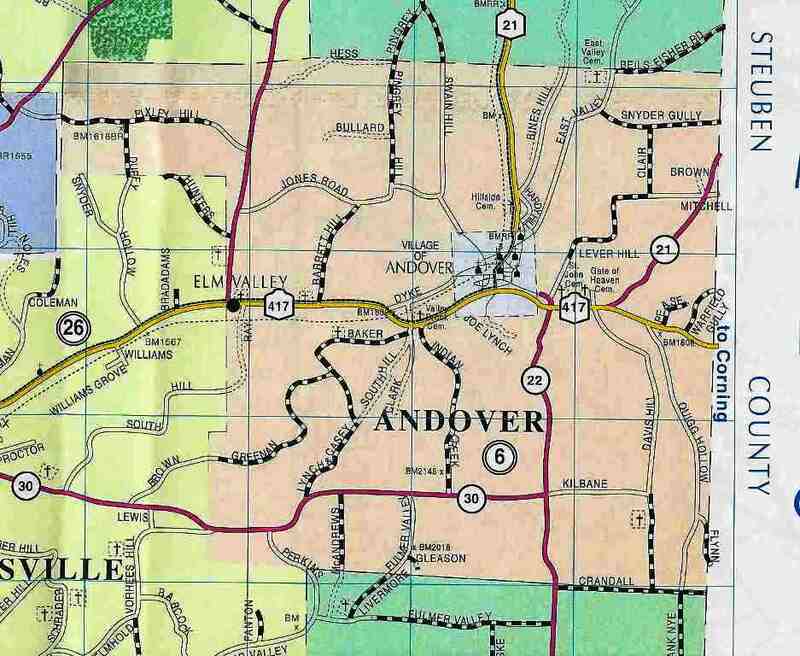 The first settlement of the Town of Andover was made in 1796 at Elm Valley, previously called Shoemaker's Corner, by Nathanial Dyke and Stephen Cole. It is the town line between Andover and Wellsville. First Called Bakers or Bakerstown in 1809, the Town of Andover was formed from Independence on January 28, 1824 and a portion of Wellsville was annexed in 1855. It has an area of 23,785 acres. The name of the town was first suggested by James Adams whose childhood home was in Andover, Vermont. He and his family moved from Vermont the same year this town was formed. 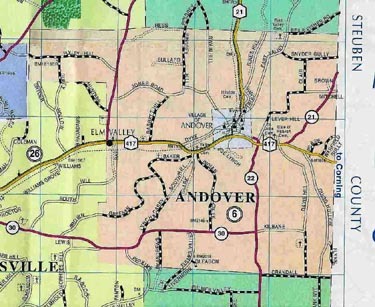 As the first town meeting was also called in 1824, the name, Andover, apparently was adopted then. The following map shows Andover in 1856. 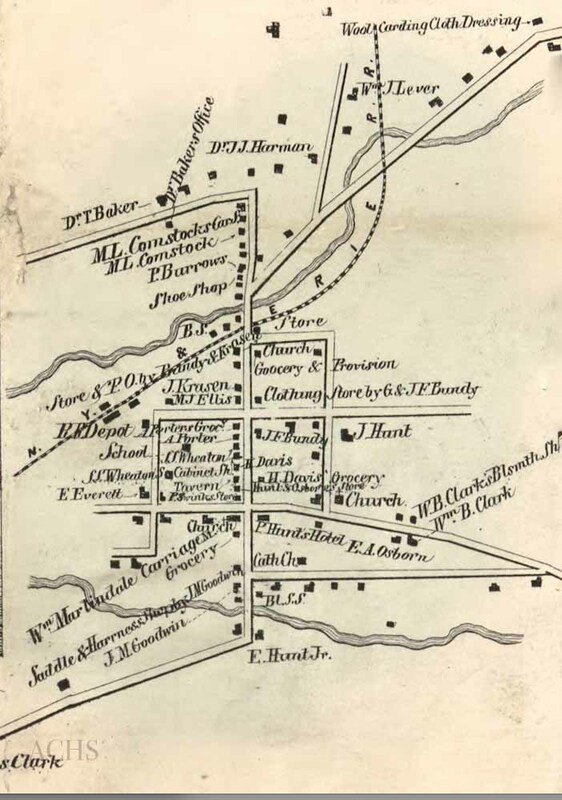 It's from a map of Allegany County published in 1856 by Gillette, Matthews & Co.
TOWN/VILLAGE OF ANDOVER RELATED ARTICLES- Miscellaneous items about Andover's history. If you have some interesting Andover pictures of historical importance or human interest, submit them for the gallery via email: Ron Taylor; or, William A. Greene (Bubba).